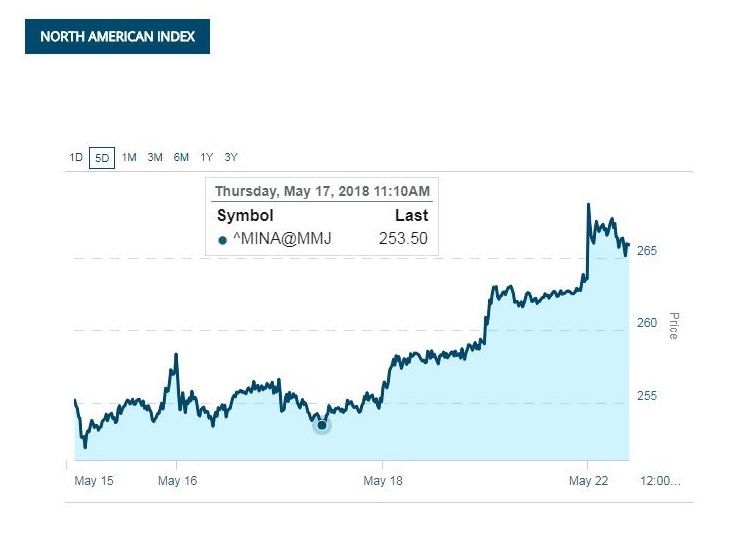 With just weeks away from long expected legalization of recreational marijuana in Canada and Massachusetts (USA) the global market of cannabis goes through understandable volatility, fear and tension. After the sharp raise both indexes started sliding due to the factors connected with legislation. Initially it was provoked by the attack on California marijuana Law by the Federal Government because of the irresolvable contradictions between the USA Anti-Marijuana Federal Law and California and other States approval of Pro-Marijuana legislation. 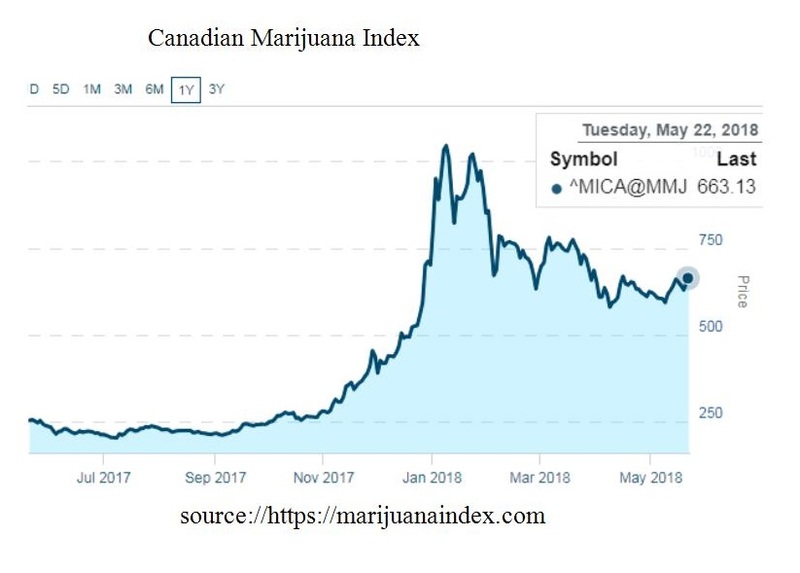 In Canada investor pessimism grew based on fears of approval by the Government of the tax legislation which would be totally unfavorable for marijuana businesses and consumers, which was widely debated at that time, and also discriminating (by opinions of cannabis communities) regulations of packaging of medical, smoking and other products made from marijuana. And of course the lion share of those fears was rooted from the uncertainties in regards to the final approval of legalization of recreational marijuana in July 2018. The decline that started in late January 2018 was gradually reversed to cautious growth which still has not reached the climax levels of the late January. It has been practically dis-connected with the global market demand for all types of cannabis marijuana and hemp products. This pessimism has not stopped markets from fast developments aimed at balancing supply with high and growing demand. 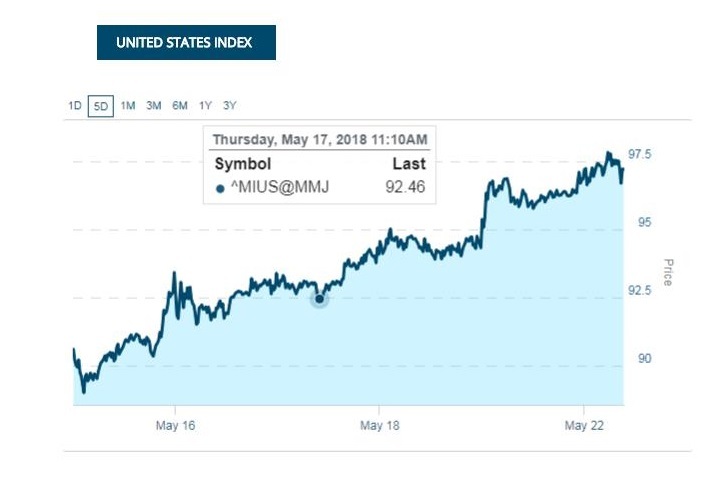 In Canada, USA, Israel, Portugal, Uruguay, Australia, Germany, Italy, Czech Republic, Brazil, Mexico, Columbia and many others the turn of events in the markets have taken a very fast speed. 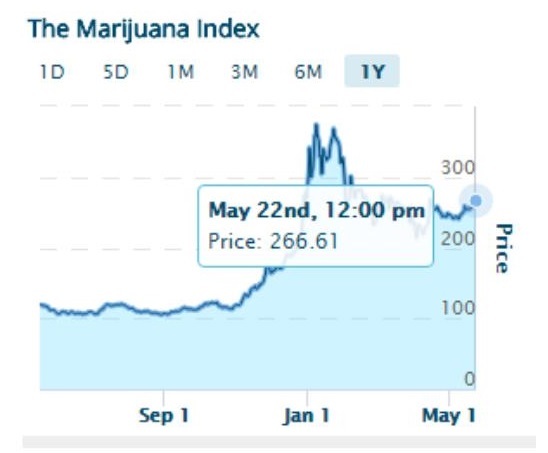 With the average growth of the industry by 76%, official licensing procedures, significant growth of R&D activities in the world Universities, big companies, activating M&A, spreading net of distribution channels through pharmacies, various stores, cannabis industry is more and more looked like one of the most active and fast growing emerging markets. Speaking of current demand, the valuation done by Marijuana Business Daily demonstrates overwhelming numbers. According to this report should cannabis marijuana be legalized in USA country – wide current demand for legal licensed marijuana products (incl. medical, edible, alcohol and non-alcohol beverages etc.) will dwarf the whole country’s demand for ice cream and other top consumer products. So, with the immediate USA country wide marijuana legalization the sales could achieve this year as much as $45-50 Billion annually comparing to integrated sum of sales: of Ice Cream – $5,1 Billion, top movies’ ticket sales – $11,1 Billion, overall snacks like Doritos, Cheetos, Funyuns – $4,9 Billion equal to $21,2 Billion. Even more should cannabis marijuana legalization on a country wide level be approved; it will open the road to such speed of growth in sales which will quickly exceed cigarettes and beer sales in USA. Even now with a geographically limited market and going through just infancy stage of the development of legal marijuana business its’ total USA sales in 2017 (with around 30% growth compare to 2016) hit almost $10 Billion. This number has beaten $6, 6 Billion of 2017 sales of ice cream, paid music streaming services $4.0 Billion and many other popular products. And still there is a big space for growth because these sales have not covered yet the growing demand in the country. With that said we deepen our research into details of current demand structure and accordingly analyze supply structure in the newly appeared sub-markets of cannabis marijuana and hemp. About these segments of the world markets of cannabis, companies operating in them, M&A, plus more in part 4 of this article.